1ST MACRO BANK SHALL NOW BE CALLED COUNTRY BUILDERS BANK EFFECTIVE NOVEMBER 07, 2017. | Country Builders Bank Inc.
1ST MACRO BANK SHALL NOW BE CALLED COUNTRY BUILDERS BANK EFFECTIVE NOVEMBER 07, 2017. 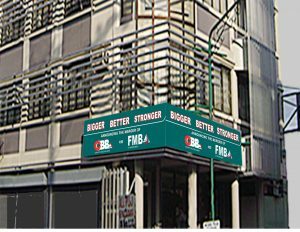 The official merger of Country Builders Bank (CBB) and 1ST Macro Bank (FMB) has been approved by Securities and Exchange Commission (SEC) last October 19, 2017 with Country Builders Bank (CBB) as the surviving entity. This merger is an excellent opportunity to combine two (2) well respected community banks that share a deep commitment to our customers and local communities for more than fifty five (55) years. With the merger, Country Builders Bank (CBB) has now become the biggest rural bank in terms of branches in Metro Manila with the ten (10) additional branches in the pipeline within the area and one of the biggest rural banks in the country today operating in National Capital Region (NCR) and in the provinces of Rizal, Bulacan, Laguna and Cavite with a total of 36 branches to date.